The ability of the body to use zinc and calcium is dependent upon their absorption. Most absorption of minerals occurs in the small intestine, explains the National Digestive Diseases Information Clearinghouse. Once absorbed, these two vital nutrients can carry out their roles in body function. If you have malabsorption issues due to celiac disease and other conditions, your body may not absorb adequate amounts of these nutrients. Zinc and calcium are both essential minerals that play several key roles in the body. Zinc aids normal growth and wound healing. It also functions in the sense of taste and your appetite. Calcium is the most abundant nutrient in your body. It is important for bone and teeth formation. It is also necessary for chemical reactions involving muscular and nerve activity. Many vitamins and minerals, including calcium, have synergetic relationships with other nutrients. In order for your body to absorb and use calcium, your diet must include adequate amounts of vitamin D. Other nutrients can have a negative impact on zinc absorption. The Linus Pauling Institute explains that copper and supplemental iron may interfere with your body's ability to absorb zinc, increasing your risk for deficiencies. 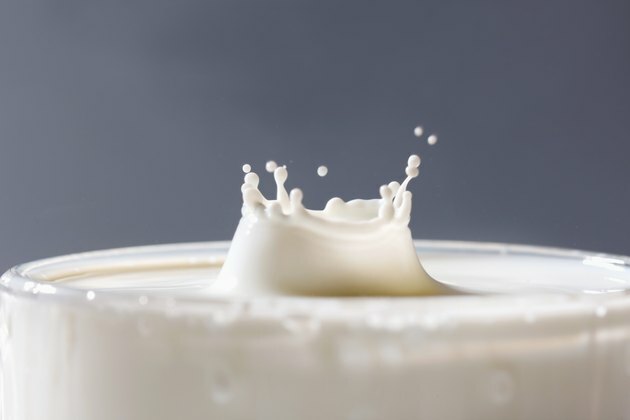 The minimum recommended daily requirement for calcium is 1,000 mg a day, according to the National Institutes of Health. Inadequate intake can increase your risk of developing osteoporosis. Your body stores most calcium in bone and teeth. Deficiencies force your body to break down bone in order to meet its nutritional needs. Too much calcium is equally as serious. It can impair absorption of other minerals, including zinc. It may also affect kidney function. Unlike calcium, zinc is a trace mineral, meaning only a small amount is necessary for proper body function. The National Institutes of Health recommend a dietary intake of 8 mg a day for adult women and 11 mg for men. Ironically, high amounts of zinc can undermine the very functions it supports. The University of Maryland Medical Center warns that excessive zinc can diminish immune function. Deficiencies cause similar issues, including a slowing of growth and a loss of appetite. Drug interactions can occur even if the nutrient is important for good health. Both zinc and calcium can lower the effectiveness of some antibiotics by decreasing their absorption rate. Likewise, such medications as diuretics and ACE inhibitors for blood pressure can decrease your body's ability to absorb zinc. Other medications, such as prednisone, may diminish calcium absorption. Because of the possible health effects, consult your doctor about monitoring the mineral levels in your blood if you are on any of these types of medication.